Today Amazon offers set of Contemporary Romance Novels for $1.99 Each. 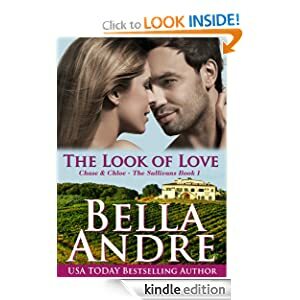 With “The Sullivans” series, best-selling author Bella Andre masterfully combines passionate, heady romance with engaging storylines and endearing characters. Today only, each novel in “The Sullivans” series is 60% off yesterday’s price. All books was written by Bella Andre. As a successful photographer who frequently travels around the world, Chase Sullivan has his pick of beautiful women, and whenever he’s home in San Francisco, one of his seven siblings is usually up for causing a little fun trouble. Chase thinks his life is great just as it is—until the night he finds Chloe and her totaled car on the side of the road in Napa Valley. Not only has he never met anyone so lovely, both inside and out, but he quickly realizes she has much bigger problems than her damaged car. Soon, he is willing to move mountains to love—and protect—her, but will she let him? Chloe vows never to make the mistake of trusting a man again. Only, with every loving look Chase gives her—and every sinfully sweet caress—as the attraction between them sparks and sizzles, she can’t help but wonder if she’s met the only exception. And although Chase didn’t realize his life was going to change forever in an instant, amazingly, he isn’t the least bit interested in fighting that change. Instead, he’s gearing up for a different fight altogether…for Chloe’s heart. One night is all Nicola and Marcus agree to share with each other. But nothing goes as they plan when instead of simply tangling limbs, they find a deeper connection than either of them could have anticipated. And even though they both try to fight it, growing emotions – and sizzling attraction – keep drawing them closer together. This winter, if one – or both – of them aren’t careful, they just might end up falling in love. Can two people who have both sworn off love find forever in each other’s arms? Find out in IF YOU WERE MINE, the fifth book in Bella Andre’s bestselling Sullivan family contemporary romance series. Heather Linsey can’t believe she’s stuck working with one of the city’s top dogs, auto-shop tycoon Zach Sullivan. Especially when his focus is clear from the start—not only to learn how to deal with his temporary puppy…but also to make her his. Having sworn off love at seventeen when she realized it was nothing more than a pack of lies, Heather has stuck to her vow never to fall for a charming man. But as Heather’s determination to push Zach away only fuels his determination to get closer—and the sensual and emotional connection between them grows more and more undeniable—will the biggest Sullivan bad boy of all tempt her into believing in love again? 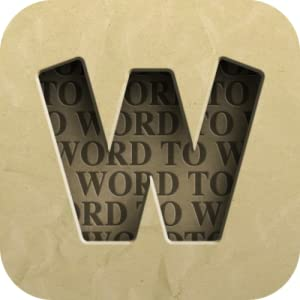 Word to Word – A fun and addictive free word association game. You can get it for free today only. Challenge yourself with this fun and addictive free word association game. Words can mean the same thing. Be careful though! As puzzles get harder, a word can have multiple matches so you’ll have to get the right combination of words to complete each puzzle and solve all the pairs. Play for a few minutes or a few hours. You’ll get 11 packs with 440 puzzles in this version! 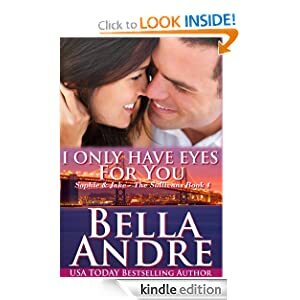 This entry was posted in Kindle Applications, Kindle Apps, Kindle Books, Kindle Daily Deal and tagged Bella Andre, Can't Help Falling In Love, Contemporary Romance Novels, From This Moment On, I Only Have Eyes For You, If You Were Mine, The Look of Love, Word to Word by Paul. Bookmark the permalink.